In South London, a ‘renewable dynamo’ is tackling fuel poverty with renewable power – while showing the true democratic involvement of people power in the energy system. 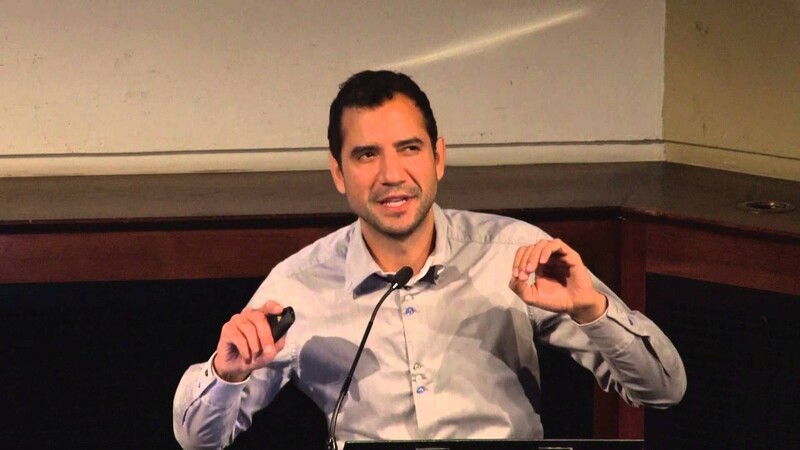 In the UK, the number of small-scale energy systems has jumped from a few thousand to over half a million – in part down to the Uruguayan-born, New York-raised community entrepreneur and artist Agamemnon Otero MBE. Started in 2011 by a group of volunteers in South London, his nonprofit energy cooperative Repowering London sees that communities, rather than individuals, engage with energy – to reduce CO2 emissions by generating decentralised low-carbon. Working in partnership with local authorities and community groups, it delivers local solutions to local energy problems with solar PV arrays on estates in inner-city areas like Hackney and Brixton. Otero believes that people will no longer stand for the disinterest of large energy corporations in customer satisfaction. Focusing on urban areas and working directly with people who live in fuel poverty, Repowering provides energy security by installing low carbon and renewable energy technologies on social housing, private sector buildings and national assets like disused brown field areas, along reservoirs and rail. The collaborative approach ensures that the interests of the community are at the heart of any project, and its residents are included in every step of the way to provide benefits to the citizens that live locally to them and beyond. It supports communities to deliver, own and manage their renewable energy projects – while allowing people to actively participate in the governance and financial operations of their own communities. 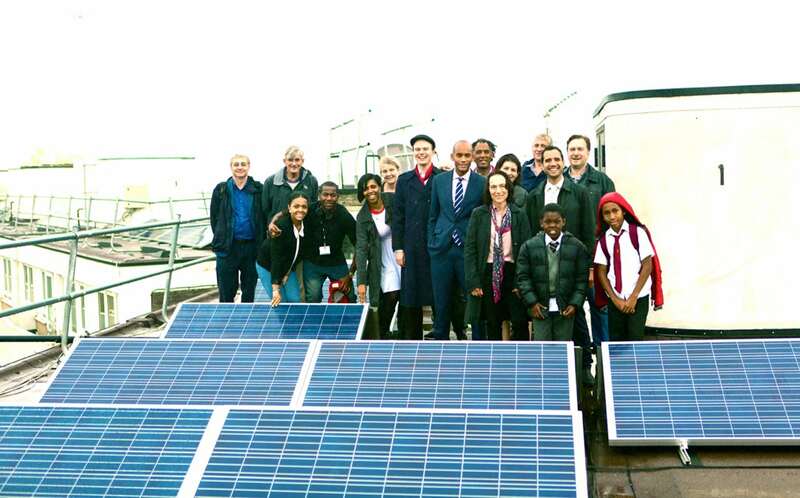 Back in 2012, Repowering helped to set up Brixton Energy, installing several hundred square metres of solar panels on the roof of Elmore House in the Loughborough Estate. Building on the success of that project, it has recently received a grant of £125,000 from community business fund ‘Power to Change’ to expand community energy in Brixton. Otero’s holistic approach means Repowering promotes local leadership and provides opportunities for local and responsible financial investment, while creating training and employment opportunities for local people. Their key driver is a social works programme, which educates youth, adults and skilled engineers in the finance, IT, technical, legal and media/market elements of setting up and co-operatively owning a renewable energy power station. Now he’s turning his attention to Clean Marine (creating tidal power from the River Thames), a city-wide network of Energy Gardens and the world’s first blockchain energy application on a national grid, the Verv 2.0 platform. This will allow energy produced from solar panels on blocks of flats in Hackney social housing to be stored, shared and traded between flats to reduce wastage. Repowering has the potential to create a true community energy revolution in neighbouring communities and further afield. Otero has an MBE for services to British nationals in Gaza and has been recognised by multiple awards including the 2016 Ashden Award for Community energy – but most importantly by the people who live on these estates. AtlasAction: Repowering are currently mentoring five community energy groups to facilitate community energy across London – working with En10ergy, Hackney Energy, Rosendale Energy, Streatham Power and Vauxhall Energy. For more information about getting involved in these groups mail them here. Watch: Agamemnon appeared at Atlas of the Future’s Barcelona conference: ‘Fixing the future: adventures in a better tomorrow’. You can watch the full talk here. project_image_description_2 Maintaining resilience is the job of 1 vote 1 share cooperatives that democratises energy. Tags: Awareness raising, Clean energy, Climate, Communication, Community, Democracy, Education, Employment, Environment, Information, London, Youth.